There is a vacancy for Research Assistant in FES, UTAR KL Campus. Please contact Prof Goh Sing Yau (gohsy@utar.edu.my) if anyone is interested. People with locked-in syndrome/severe motor disabilities such as those afflicted with amyotrophic lateral sclerosis may be unable to communicate with the outside world. 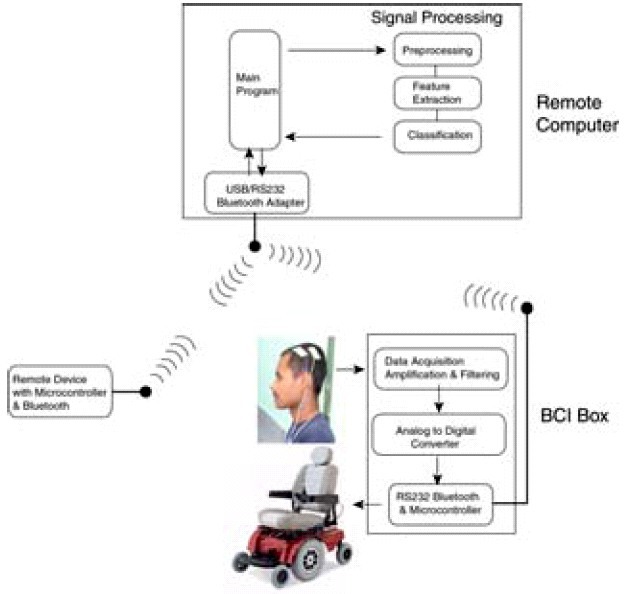 In an earlier project, the principal investigator and his colleagues have developed a Brain-Computer Interface (BCI) system to control a wheelchair using natural EEG oscillations generated by motor imagery. 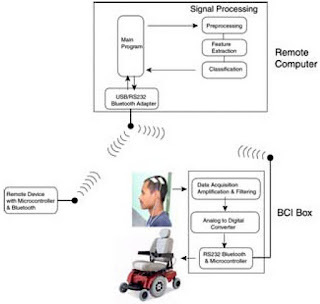 This method of using motor imagery is very safe, reliable and at the same time frees the mind to observe and plan future intensions while activating a wheelchair to move to the desired location. However, for the purposes of communication such as writing a letter or communicating with another person, we will need a faster information transfer rate. This can be provided by a complementary BCI system that uses steady-state visual evoked potential (SSVEP). In such a system, the subject is required to look at objects (for example, that can denote the direction of movement of the curser) that oscillate at specific frequencies resulting in evoked potentials of the same frequencies that can be measured at certain locations on the scalp. The frequencies of the evoked potentials will determine the desired movement of the curser that can be used to select words in a predictive text system to form the desired phrases or sentences to communicate with the outside world. The RA is required to participate in a research team to develop the software for the SSVEP BCI system and the predictive text algorithm and selection GUI for communication. An example of predictive text is commonly seen in hand phone sms features. O'Riordan et. al. investigated the text input methods for mobile phones. Predictive text can be complemented by "auto completion" or "auto tree" depending on context and structure of the sentence. Steffen Bickel et. al. investigates algorithms that enable the finding of meaningful subwords and phrases. O'Riordan et. al. "Investigating Text Input Methods for Mobile Phones". J. Computer Sci, I (2):189-199, 2005. Alok Aggarwal & Jeffrey S. Vitter. The Input/output Complexity of Sorting and Related Problems. Communications of the ACM, vol. 31, no. 9, pages 1116–1127, 1988. Scott MacKenzie (2002). "KSPC (Keystrokes per Character) as a Characteristic of Text Entry Techniques". Proceedings of MobileHCI 2002. Steffen Bickel, Peter Haider & Tobias Scheffer. Learning to Complete Sentences. In 16th European Conference on Machine Learning (ECML’05), pages 497–504, 2005.